The Supernova 2007 Conference, co-produced by Kevin Werbach and The Wharton School, is where technology and business influencers, leading investors, top innovators and thinkers come together for provocative conversations and networking. Join us for Supernova 2007! The Supernova conference, cohosted by Kevin Werbach and The Wharton School, confronts emerging trends in computing, digital business, communications, and media. Register today ! Why do architects of today's Internet think it needs a radical overhaul... and are they correct? Is most of the Internet economy actually hidden in grey and black markets? Why are the executives who defined Microsoft's and IBM's Internet strategies now advocating such shocking ideas? Is marketing a dirty word in a relationship economy? Can that change? What future challenges are Google's top advertising and search execs (both coming) focused on? Do you know where your online identity is? What do leading business thinkers envision for the startup, the firm, and the enterprise? See our sessions and Challenge Day agenda for more details. With Michael Arrington of TechCrunch, we're selecting 12 top startups to highlight as our Connected Innovators. Don't miss the deadline to apply. 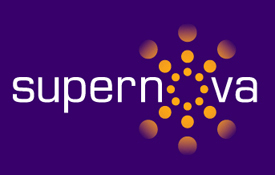 Supernova is a unique window on the factors shaping your business -- and your world -- over the next few years, and an unparalleled opportunity to network with people who will spark unexpected ideas and create new relationships. Register now for discounted early-bird pricing! We have many opportunities for companies to participate in Supernova and benefit from our extensive network of industry influencers. Please email us with sponsorship or press inquiries. Be challenged. Be provocative. Be productive.